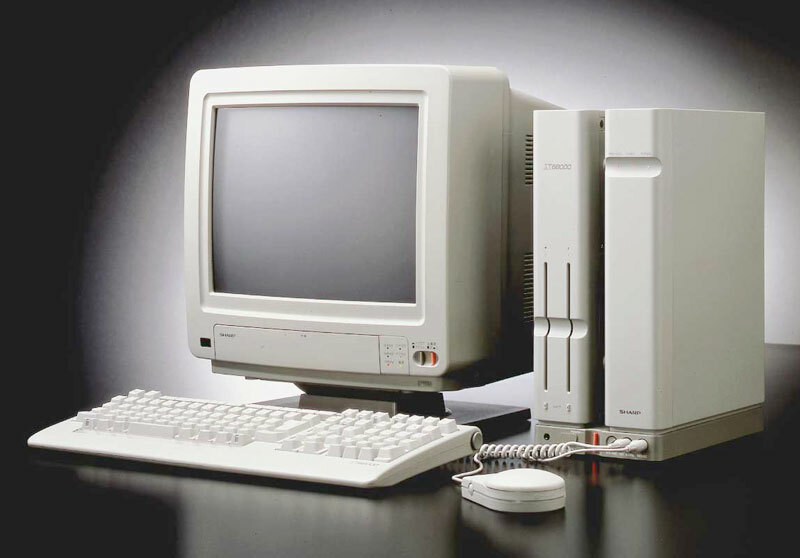 The X68000 was a 16-bit personal computer announced by Sharp in 1986, and first marketed in March 1987. It was called a “personal workstation”, and attracted attention due to its sophisticated graphic capabilities, powerful AV features and distinctive “twin towers” design. It used an MC68000 CPU, was equipped standard with 1 megabyte of RAM, and had a unique sprite function and bitmapped 768x513dot display screen (65,536 colors for each dot). For sound, it was equipped with an 8 channel FM stereo sound source and an ADPCM sound source for voice synthesis. Superimposed display on a TV screen was also possible using a special-purpose display. In contrast to dedicated game machines, which had become the mainstream in the game world, the X68000 aimed for the maximum performance achievable with a PC, and the PC itself was equipped with “Gradius”, a popular arcade game at the time. The machine was also provided with an environment to enable users to make their own games using high-level graphics. ・Display screen selectable from 768x512, 512x512, 512x256 and 256x256. （3）Arbitrary colors could be chosen from 65,536 colors for each dot of the graphic screen (in 512x512dot mode). （11）Equipped with two 5-inch floppy disk drives. Came with mouse track ball. The X68000 ACE and X68000 ACE-HD went on sale in 1988, and a total of 20 different models were sold in the X68000 Series by 1993.